Top seed for the knockout stage, Guo Qiang He from China knocked out one of the strong title contenders, Florian Nuβle 4-2 to step in the quarter finals of the 2018 IBSF World Under-18 Snooker Championship here in Jinan, China. It was certainly a tough match in schedule as Florian carries his strong resume of World No.3 position with him. On the other side Guo Qiang has shown consistency so far in this tournament and grabbed top seed for single elimination. From the first frame only, there was a clear reflection that it is not an easy walk for either of them. However, Florian managed to clinch first frame and taken up lead. In response, Guo Qiang He posted two back to back breaks of 60 and 61 to turn the match his side. 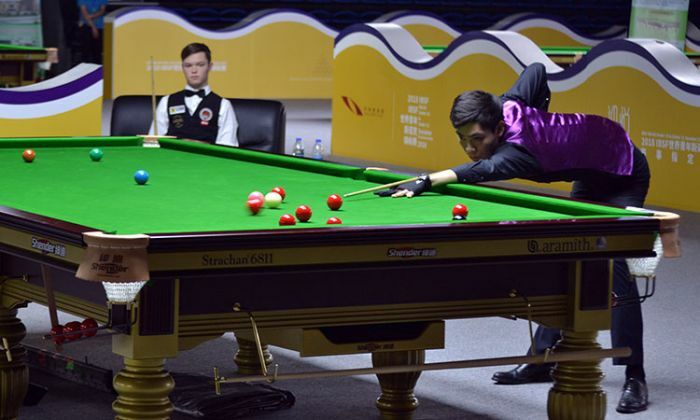 Guo Qiang He again established 65 points in fourth frame but a chance given costed him the frame as Florian posted a break of 51 to level the match. This was an alert for Guo Qiang He and after that he did not opt for any unwanted attempt and went steady to take next two frames and knockout Florian.